It was a pleasure to meet with my students from Asia Africa along with their coordinators from Israel. I was even more pleased to meet with our new Ethiopian team who will soon be sharing the wisdom of Kabbalah in Ethiopia. Until recently, Asia and Africa were quite dormant, but now there is a mass awakening and an intense desire to learn the wisdom of life. It is a new sign and hope that humanity is approaching the feeling of being as one around the world. 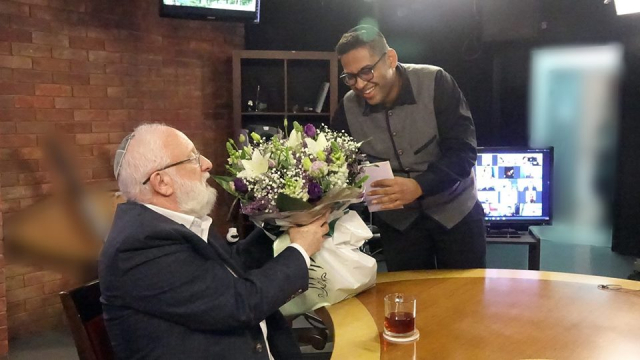 Thank you for your precious time, as well as the bouquet of flowers from the team in India! We are fortunate to be living in a time when we can speak Hebrew freely. I only began to learn Hebrew when I moved to Lithuania in the early 1970s, while in transit on the way to Israel. Until then I only got to know the Hebrew language slightly, through my grandfather who read the Gemara and prayed from a siddur (Jewish prayer book). If you had asked him about the meaning of the Hebrew words, he would have answered you in Yiddish, just like all the elderly people who lived in Vitebsk, my hometown. Our parents were forbidden to speak Hebrew altogether. They spoke mostly Russian, and occasionally Yiddish. The Hebrew language is a unique phenomenon. It’s an expression of love-hate relationships. 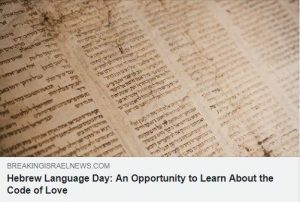 After the destruction of the Second Temple, which was destroyed as a result of unfounded hatred, Hebrew almost completely disappeared as the Jews’ daily spoken language. From the second century CE until the beginning of the twentieth century, the vast majority of Jews spoke the local languages of the regions in which they lived. Yet, they learned to read and write basic Hebrew so that they could pray and read the holy books, just like my grandfather in Vitebsk. The revival of the Hebrew language is the first expression of the glue that binds the people of Israel together. And even though we are not fulfilling our purpose yet, we are on our way towards it. According to the wisdom of Kabbalah, Hebrew is not a language like all other languages. The twenty-two letters Hebrew letters are actually twenty-two code symbols. Kabbalists use these code symbols to describe the process of discovering the connection with the spiritual reality. Kabbalists refer to spirituality itself as “an abstract light” that has no shape or form, and the first sensation that one feels when entering the spiritual reality is referred to as “a black dot in the white light.” That little point is the root of one’s soul. Through love towards others, the little black dot receives additional desires and develops into a spiritual vessel we call “the soul.” As the soul grows and develops through love of others, it can then be filled with greater spiritual light. Each letter in Hebrew has a unique shape, made up of horizontal lines and vertical lines. The horizontal lines express the intensity of love and giving of the soul. The vertical lines express the lights that fill the soul. Thus, the twenty-two shapes of the Hebrew letters express twenty-two ways in which the soul is filled with the light of love towards others. And when the letters join to create words and sentences, the Hebrew language emerges. Today, connection with the spiritual reality through love of others has to happen by rising above the human ego that has inflated over millennia. Although Jews have gathered from the four corners of the world and have returned to speak Hebrew again, Kabbalah explains that the true revival of the Hebrew language is the revival of the soul. 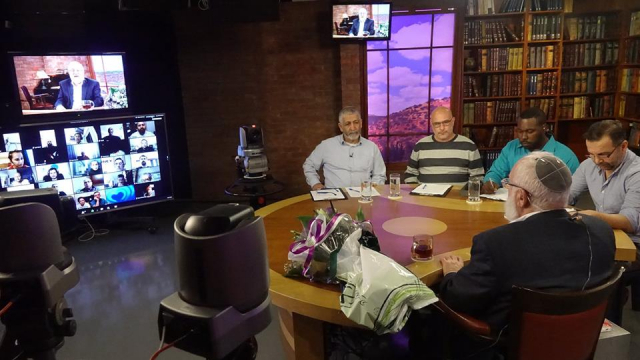 The next stage for the Jewish people is not only to speak the Hebrew language, but to speak it from the soul. In other words, to develop the quality of giving and love again, to receive light in the soul, and thereby speak Hebrew from heart to heart. Billions of people enjoy new technologies, while few are the innovators who command and develop the inventions that change the way we live. Consider for a moment the impact of one simple technological breakthrough in 1782 by Henry Sidgier with his innovative washing machine: For how many centuries had women slaved away on the banks of rivers beating laundry on rocks to provide families with clean clothes? Similarly, humanity still fails to recognize that it slaves just as hard as the laundress of a few centuries back, unaware that a labor-saving invention already exists that would change everything about the lifestyle we have developed over the past century. Today, it is enough to throw a few dirty items into a machine, press one button and relax with a cup of coffee for clothes that are cleaner, faster, virtually without physical effort. Believe it or not, we don’t need to become master inventors ourselves to forever transform the way we interact with one another and run our world. The invention has already been designed and perfected. The question is whether we have despaired long enough from our outdated systems to finally come up with the innovation that can open the door to a new way of life. Sadly, humanity is just now beginning to recognize the endless rat race it runs. Our innate egoistic inclination to build and develop has flourished over the past 70 years, and we have set up all kinds of complex systems to frame our lives. Today, we lack nothing materially and have everything in abundance, yet our lives feel increasingly bland. Surging rates of depression testify to more and more people’s unhappiness with their lives. An increasing amount of people are feeling depressed and bitter, anxious about security threats, troubled over their children’s education and future, as well as feeling that their lives lack a certain spice. Our egoistic nature is growing, but instead of compelling us to connect correctly–with mutual respect and solidarity–and enjoy the fruits of harmonious relations, we trample on each other, seeking to benefit at the expense of others in order to fill ourselves with temporary pleasures. Common sense tells us that such behavior is unsustainable, but we’re unable to stop. Moreover, our broken relations coupled with our exponentially accelerating pace of development paves the way for ever more intense conflicts of egoism and wars of survival between us. How many people in the world know all the details of a washing machine’s construction? Few. How many use one? Billions. In the same way that each of us didn’t have to invent the washing machine to enjoy its benefits, we also don’t need to mastermind an intricate system of ideal connections between each and every individual in the world in order to enjoy a transformation in our relations. 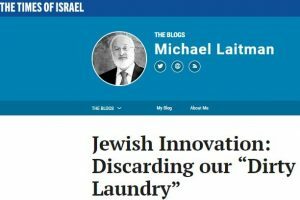 We just need to recognize a brilliant invention when we see one and learn what buttons to push in order to use it to our benefit..
Jews are some of the greatest innovators in history, with more Nobel Prizes, honors and distinctions per capita than any other people, but without doubt their greatest invention is yet to be revealed in our generation. It is an innovation that has potential to fill humanity with happiness and save it from great suffering: the wisdom of Kabbalah, which was made specifically to be revealed and used in our era. However, strangely enough, even among Jews themselves, few are aware of the powerful tool we have at our fingertips. What is it about the wisdom of Kabbalah that makes it the greatest invention of all time? 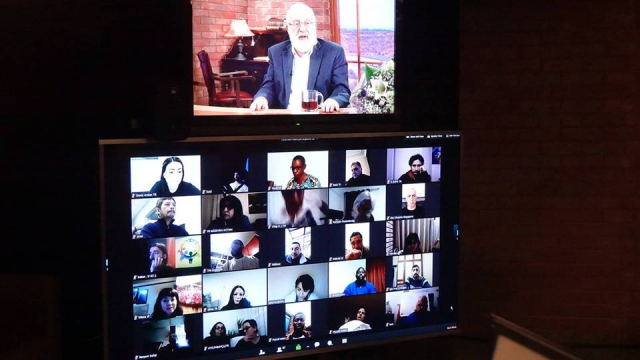 It is that Kabbalah is a method that can connect people, even those most opposed each other. It can guide anyone who so desires to transcend their inborn egoism and live in ideal bliss. Also, to make the invention work for us, we do not have to be great experts or become saints. Just as most people operate washing machines without understanding how they work, the same applies to Kabbalah. Ultimately, this method works to bring us closer together, and by so doing, we draw a connective power inherent in nature, fill our world with warmth, happiness and confidence, and also alleviate suffering. Becoming practitioners of this method means discarding our “dirty laundry”—the ego that seeks to enjoy at the expense of others—by shaping a well-oiled connection with others: building a strong bond that cleanses our hearts. The wisdom of Kabbalah is derived from the elementary structure of nature itself. Nature strives instinctively for balance, equality and perfection. Since we are part of nature, by aiming ourselves to be like nature, we then enter into its flow and act accordingly in our connections, with equality and mutual consideration. The only difference is that we have to make the conscious choice to use the method and create these positive connections among each other. I invite anyone who so desires to get started with a free introductory course. A person feels that other than himself, everything else is the Creator’s actions, who controls and launches everything. Therefore, he cannot attribute personal actions, thoughts, and impulses to the friends. It is all the Creator. Also, the Creator gives him a little freewill: how to relate to it, transform, and come closer to Him. And he already looks at his friends as if they are in full connection with the Creator. Question: When it is said that “love covers all transgressions,” are the transgressions in me? Answer: Of course. All selfish tendencies regarding the friends are covered with love. And one builds on top of the other because the Light comes that shows you everything. Since it was not there before, you saw everything negatively, and now, you see everything positively. Love is an attitude toward others when you do not see anything wrong with them. You just love them. They are more precious to you than yourself.